If you have an old Android, iOS or even Windows Phone devices lying around, you might want to pick it up and take a look at how it could be useful in your day to day life. There are many uses for old tablets and smartphones, however in this article we are offering some tips the best ways to turn your tablet into a remote media player. 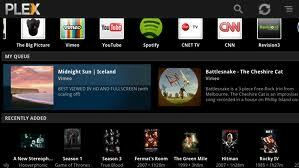 There are a few approaches to turn your tablet into a media device, and they generally fall into two main categories – remote control of other media or remotely viewing media from your home network away from the house. The first category we are looking at involves turning your tablet into a media remote that can interact with the various gadgets already in your house. 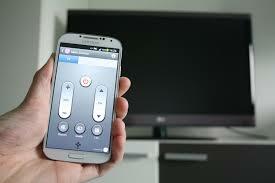 If your TV has a WiFi connection, you will be able to easily control your TV via your tablet with a smart control application, such as Samsung’s WatchON app – the WatcON app makes it easy to control your TV, set-top box and your DVR, along a selected few other devices. This is a great option for anybody that has a smart-connected TV at home, but if you don’t, a good alternative would be to pick up a universal remote attachment for your tablet, such as the Zmart – for $30, you will be able to pick up a device that can connect to pretty much every well-known brand of TV under the sun via IR signals – it comes with an app, and it’s pretty simple to set up. Another way to turn your tablet into the heart of all your media and entertainment is to hook it up with an app like Plex. With Plex, you will be able to download an app and a desktop programs on all of your devices you would like to connect to, sign in, and then you’ll immediately have remote access to all of your media across all devices. There are a few configuration settings to set up what content goes to your tablet, and the app does cost $5, but it’s typically very simple to set up, especially compared to similar media center offerings. With Plex, you will be able to turn your tablet into your home away from home, and with apps like Roomie or Zmart, you’ll be capable of controlling the devices you use must whilst you are inside the house. These approaches both offer a great alternative experience to anybody who has not yet adopted a new Smart TV or other smart equipment at home.